'When We Were Young': Art That's Not Child's Play A Washington, D.C., exhibit and a new book focus on the truly early work of artists like Pablo Picasso, Paul Klee and Winslow Homer: They look at drawings these artists created as children. 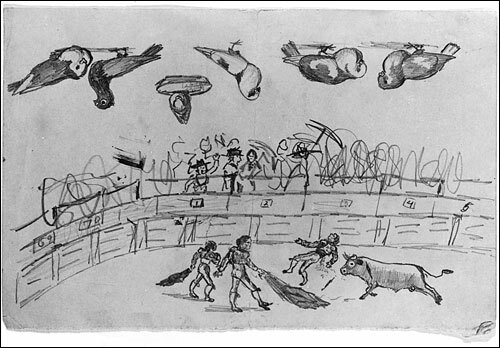 Pablo Picasso drew Bullfight and Pigeons in 1890, when he was 9. Museo Picasso, Barcelona. 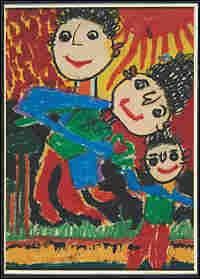 (c) 2006 Estate of Pablo Picasso / Artists Rights Society (ARS), New York. A Washington, D.C., exhibit and a new book focus on the truly early work of artists like Pablo Picasso, Paul Klee and Winslow Homer: They look at the drawings and paintings these artists created when they were children. A pencil drawing by a 4-year-old Keith Haring has his signature polka dots. At age 8 1/2, Vincent Van Gogh used black chalk to sketch portraits of people and animals with detail and shading that captured the same dark emotion that would mark his later work. One Picasso drawing, Bullfight and Pigeons, shows signs of his early talent, Fineberg says. Picasso's father was a famous painter of pigeons — and what many people notice when they see Bullfight and Pigeons, which Picasso drew at age 9, are the perfectly rendered pigeons. You can teach someone the skills to replicate the pigeons, Fineberg argues. But he says the scribble of the crowd is what's "gifted" in the drawing. "When you look at that scribble carefully, there's a self-confidence in that line that is just extraordinary. That lines moves from gesture to an outline to a contour to a figure, seamlessly moving from one thing to the next," he says. "And what is really great about Picasso, the mature Picasso, is his ability to see things in multiple ways simultaneously." Early childhood is a formative period. 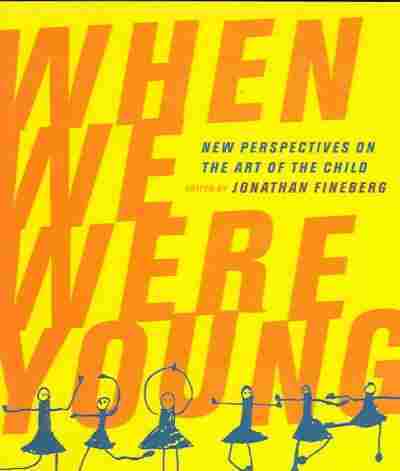 And Fineberg says that it shapes a personality, and that the preoccupations and interests in a child set a course for adulthood. 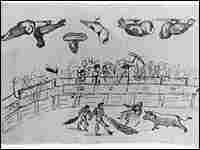 That's something you can see in the work of American painter, Winslow Homer, for example. On the question of whether great artists are made or born, Fineberg says both elements are important. "There is no doubt that a child's personality is evident from the day they're born," he says. "But there is also a kind of insight that children have that shapes an adult perspective on the world and there is a very strong educational element to that."